The measure of a school’s success can be seen in how positive their school climate is. That climate, reflected in its overall quality and character, establishes the tone for all instruction and learning that takes place within its walls, and affects many aspects of the school as a whole. Factors such as community involvement, relationships, safety, and quality of education impact the experience for students and teachers alike. 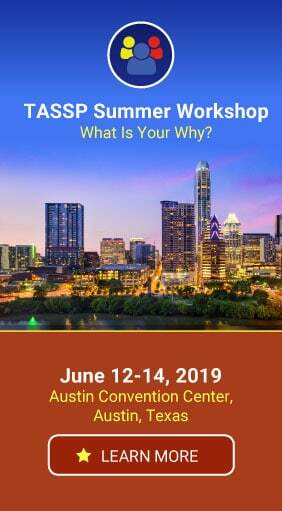 A positive climate has been shown to influence success indicators such as higher student achievement, lower dropout rates, decreased incidences of violence, and increased student retention. Conversely, a poor school climate is reflected in high teacher turnover and a constant stream of students sent to the office for behavior infractions. There are solutions to poor school climate, and the one showing the most promise is the framework known as Positive Behavior Interventions and Support (PBIS). The basic principle of PBIS lies in teaching behavioral expectations, thereby creating a climate where positive and appropriate behavior is seen as normal. The PBIS framework, paired with PBIS Rewards, is the solution your school is looking for to create a positive climate with an environment that is ideal for student success. Author L.R. Knost says it best: “Discipline is helping a child solve a problem. Punishment is making a child suffer for having a problem. To raise problem solvers, focus on solutions not retribution.” Often educators find themselves punishing a child who is misbehaving. Punishment doesn’t stop a student from engaging in the same unwanted behavior. How can we expect to see changes in student behaviors if we don’t teach and reinforce expected behaviors? Dr. Michael Karson, Professor of Psychology at the University of Denver, gives the example of a child running into the street. Yelling at a child every time they run across the street is ineffective in changing the behavior of that child who simply does not know how to wait for the light before crossing. Without providing children with alternative, encouraged behaviors, punishing them for ignorance does nothing but damage the relationship between you and the child. Numerous studies provide a correlation between reduced discipline problems and increased academic success, particularly after implementing PBIS strategies with fidelity. Increased time in school, more time for teaching and learning, and positive student engagement all contribute to greater academic achievement. PBIS is the solution to positively change a school’s climate and allows schools to focus on what they were created for – providing students opportunities to learn and grow. Many states across the country are beginning to adopt PBIS-centered initiatives to establish positive climates in their schools. McGary Middle School found itself in need of a major change. Office Discipline Referrals (ODRs) were at an all-time high and teachers and staff were overwhelmed. McGary began implementing PBIS-centered strategies, including a paper ticket incentives program. A common rewards system used among many PBIS schools, this evidence-based practice included rewarding students a paper ticket when they displayed the expected behavior in the school. Students then used these tickets to purchase rewards and incentives. Instead of punishing students for unwanted behavior, McGary students were being recognized for positive behaviors. In showing students the correct way to behave, these behaviors became habitual over time, without them even thinking about it. Implementing the PBIS framework at McGary Middle School brought drastic, positive results to the school culture. 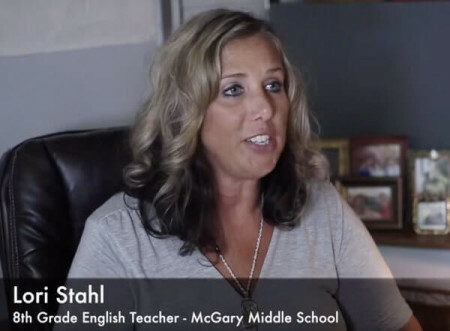 “Once I was able to implement PBIS in my classroom, the positive rewards system turned things around,” says Lori Stahl, a teacher at McGary. ODRs were cut in half and the climate at McGary was starting to change for the better. PBIS strategies were working, but the paper ticket system was not. “The ticket system was hard to manage,” says McGary principal Dale Naylor. “Teachers had to keep tickets with them at all times, and the students would lose their tickets or couldn’t keep track of them – there were just horrendous challenges using the ticket system.” The time and money spent on making tickets and having to count numerous tickets for each student were additional challenges teachers faced on a daily basis. Students and teachers could see the benefits of PBIS, but was it worth the new problems the ticket system brought? Dale Naylor knew there had to be a better solution…an automated solution. We had the solution to Naylor’s cumbersome paper ticket problem. PBIS Rewards is a completely digital PBIS Management System. It works basically as a student debit card system. Instead of being rewarded tickets, students earn points for demonstrating the expected behaviors. The teacher or staff member simply scans a student ID badge to award points, and these points are accumulated in a student account. PBIS Rewards also has a desktop portal where points can be awarded at the click of a mouse via the web. After implementing PBIS Rewards, the number of ODRs at McGary got cut in half again, down to less than 25% of what they were just a couple of years earlier. Not only was student behavior drastically improving, but teachers and staff were very excited with the results as well. 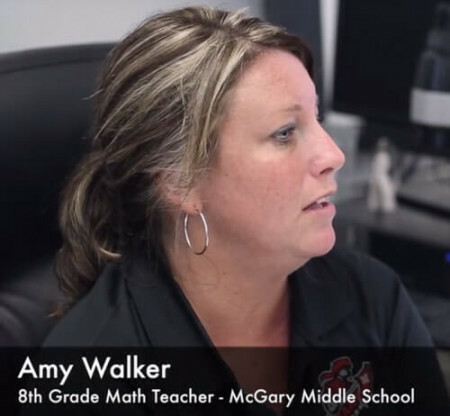 Once fumbling with paper tickets became a thing of the past and teachers were able to focus on building positive relationships with students, the staff at McGary Middle School began to see immediate changes in the school’s culture. Students became happy and loved being recognized for doing the right thing. 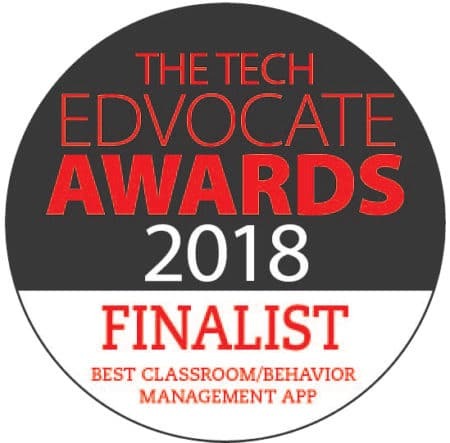 Teachers were relieved to use an easy, convenient solution to positively recognizing students. Relationships in the building were growing. Students began spending more time learning in the classroom! Through the help of PBIS Rewards, McGary Middle School has seen a great impact on student achievement and behavior as well as as the overall school culture. When students and teachers think back to their experience and the climate at McGary, they will definitely be left with positive memories. We know punitive actions and punishment do not change a child’s behavior. The response to unwanted student conduct should involve teaching the student expected behavior. The PBIS framework has been proven to change a school’s climate and allow focus to return to a school’s main goal – teaching. PBIS Rewards can help improve school climate through a PBIS framework, without the hassle and stress of managing a paper reward system. As the list of schools using PBIS Rewards continues to grow, educators all across the country are finding that PBIS Rewards can help to make their school a better place for learning and growing. Request a demo to learn more about improving your school climate with PBIS Rewards.